Is email marketing automation? Is marketing automation sales enablement? Is it sending a sequence of emails? 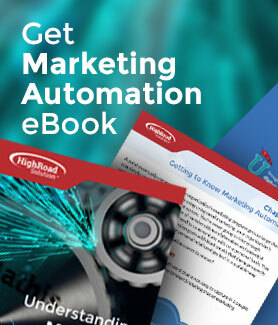 There's so much confusion in the market about marketing automation that we put together an eBook on the basics of Marketing Automation to give you the fundamentals of what's involved. This 29-page book will provide you with the framework, the elements and the reasons that organizations are choosing to adopt marketing automation technology & methodologies to better power their marketing. Read in Peace. You Call Us. We Won't Call U.